Arrival Cairo Airport this morning. 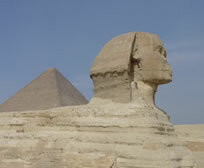 Enjoy a spectacular tour of the Giza area where we will visit one of the still standing World Wonders, the Great Pyramid of Cheops - See the Lion Statue and the Sphinx - Stop by a papyrus institute to see how papyrus is made. 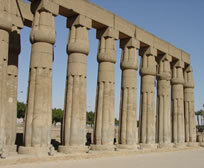 Visit the Egyptian museum where the treasures of the boy-king Tut are displayed - Proceed to the Necropolis of Sakkara where the 1st idea of building a pyramid emerged (step Pyramid) - Include a stop by the Statue of Ramses at Memphis - In the evening enjoy a dinner cruise with show. Enjoy a full day tour of the Coptic quarter of Old Cairo - Visit the beautiful Hanging Church where Joseph stayed when he fled into Egypt. Continue onto the Zeitoun Church and the Tree of the Virgin at Mataria. Depart Cairo for the city of Alexandria - Visit the Citadel of Qaitbay and the famous catacombs -Spend the remainder of the day strolling through the magnificent Montaza Palaces. Continue your tour of Alexandria with a visit to the tomb of John the Baptist - See the tomb of Nebi Daniel (the Prophet Daniel) - Transfer back to Cairo for dinner and overnight. 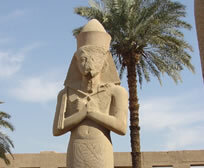 Depart Cairo for transfer to the Sinai Desert - Drive onto St. Katherine and experience a climb of Mt. Sinai at sunset where Moses received the Ten Commandments. 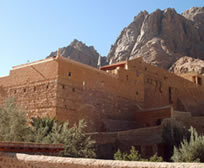 View the site of the burning bush and visit the Monastery built around this holy place. (A ritual of commitment or a Mass Celebration can be organized here if you wish.) 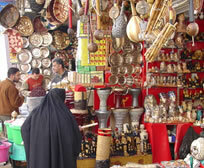 Enjoy tea and a special dinner in a Bedouin tent. Transfer to Nuweibe for a hydrofoil ride across the Red Sea - Disembark at the Jordanian port city of Aqaba - Transfer through the Wadi Rum desert to Petra. 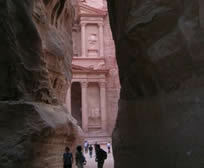 Enjoy a full day tour exploring the rose-red city of Petra - Take a short horse ride, and then travel on foot through the awesome ‘SIQ’ valley - Visit the Treasury, and explore hundreds of buildings, tombs, temples, and a 3,000-seat theater from the first-century AD. Depart Petra via the ancient Kings Highway - Visit the actual site of the baptism of Jesus by John in the Jordan River - See the intricate ancient Mosaic map of the Holy Land at Madaba - Visit Mt. Nebo where Moses viewed the Promised Land before his passing. 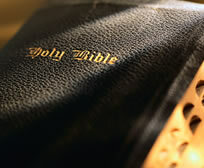 A “Ritual of Commitment” to the Ten Commandments could be arranged here. Explore the remains of the Byzantine Church with a mosaic floor, and from a platform in front of the church enjoy a breathtaking view across the Jordan Valley and the Dead Sea. Depart northwards for a visit to the Roman city of Jerash City of the Decapolis in the fertile heights of the Gilad - Explore the colonnaded streets, the baths, and the hill of the top Temple - Transfer to Sheik Hussein Bridge for border crossing into Israel. Experience a morning sail across the Sea of Galilee. See the remains of a boat from the time of Jesus - Visit Tabgha, where Jesus multiplied five loaves and two fish. Visit the Church of the Multiplication of the Fish and the Loaves. Enjoy a traditional St. Peters Fish Lunch (lunch not included) - Continue onto Capernaum, the center of Jesus’ Ministries. Visit the synagogue where Jesus taught and worshipped. Ascend to the top of the Mt. of Beatitudes, where you can relive the Sermon on the Mount. (A Mass celebration can be held here if you wish). Stop at Korazim to see the ancient city hewn from basalt rock - Visit the baptism site at Yardenit. Spend the morning visiting the holy sites of Nazareth - See the Church of Annunciation, and visit Mary’s Well and the Synagogue where Jesus preached - Take an opportunity to renew wedding vows at the Cana church where Jesus turned water into wine. Visit the sight of the transfiguration at Mount Tabor. Visit the Carmelite Monastery at the Mukarah, where Elijah smote the false prophets - Stop at Caesarea Maritima to see the harbor city built by Herod the Great - Drive by the ancient port city of Jaffa - Stop for mass at the beautiful monastery at Emmaus - Ascend the mountains to the holy city of Jerusalem. Say a welcome to Jerusalem prayer on top of Mount Scopus overlooking the city. Celebrate Mass before visiting the fascinating village of Ein Kerem and the birthplace of John the Baptist - Experience a moving visit to Yad Vashem Holocaust Memorial. Afternoon visit to Bethlehem and the Church of the Nativity (subject to security clearance). Start with a spectacular view of Jerusalem from Mt. of Olives - Visit the Church of Pater Noster, and the Chapel of Ascension - Walk down the Palm Sunday Road to see the Church of Dominus Flevit and the Church of all Nations at the Garden of Gethsemane - Visit Bethany and the Church of Lazarus (subject to security clearance) - Onto Mount Zion to visit the Room of the Last Supper and King David’s tomb - See the dungeon where Jesus was imprisoned at the Church of St. Peter in Gallicantu. Continue on for a visit to the Dormition Abbey. 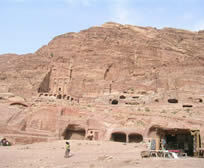 See the original Dead Sea Scrolls at the Shrine of the Book. Experience a spiritual visit to the Western Wall where you will say a prayer. Onto the Pools of Bethesda and St. Anne’s Church where you can sing a hymn. Pass through Ecce Homo Arch to the Via Dolorosa and visit each Station of the Cross to the Church of the Holy Sepulcher where Mass Celebration may be held. Finish your day with a visit to the Garden Tomb. Depart Jerusalem via the Inn of the Good Samaritan. 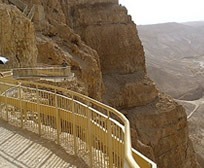 Visit the caves of Qumran, where the Dead Sea Scrolls were discovered. 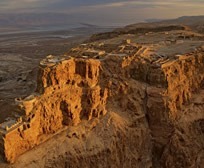 Ascend the mighty fortress of Masada - Experience a ‘float’ in the salty waters of the Dead Sea. Enjoy a morning at leisure. Depart for a brief tour of Beersheba the capital of the Negev - Visit Abrahams Well and see the park dedicated to ANZAC soldiers - Continue on Tel Aviv for an early festive farewell dinner before departure - Transfer to the airport for your departure flight home. Arrive back in Sydney with wonderful memories of a fantastic tour and a deeper understanding of the bible. Breakfast and Dinner will be provided daily in the hotels. Israeli breakfast is very generous and usually buffet style. A festive farewell meal at an authentic oriental restaurant is also included. Porterage at the airport and at the hotels. Price on application when making group request.